Berlin is pulsating and a place with many personalities. There’s something for every taste: art lovers, nightclub visitors, cyclists, crazy shoppers or music freaks. It is organized and, in my opinion, quite easy to understand. But I was born and raised here, so what do I know, right? There are some things friends keep asking me about when they come here. Sometimes it seems confusing to understand the German system of public affairs. So here are my seven most important things that you should take care of when you come to Berlin. Berlin has got a good public network, consisting of busses, local trains (S-Bahn), subways and trams. Even at night, you can get almost anywhere or at least easily find a taxi. The two companies running the lines are BVG and S-Bahn. Both sell tickets for the same price, are divided into three zones and you can use both tickets for every kind of transportation. Interesting enough is that all machines take different kinds of money. While BVG machines can be used with cash, bills, and checking account cards, tram machines do not work with any bills or cards. None of these work with credit cards, unfortunately…. well. S-Bahn ticket machines are red, while BVG machines are yellow. Do not forget to stamp your ticket in one of the red or yellow stamping machines nearby, otherwise, it is not validated. Penalties are 60€ at the moment! In subways and S-Bahn, these stamping machines are at the entrance to the tracks, in trams inside the trains. P.S. If you arrive at Berlin airport Schönefeld you will need a zone ABC ticket, in Berlin airport Tegel (TXL) only AB to get to your Hotel or another place to stay. This will save you lots of headaches! The public transport system is confusing and unfortunately not put into one map. Depending on what you wanna take, there are own maps. There is one amazing app for Android and iPhone called Berlin Maps (Berlin Transport maps by Richard Turner). This app contains every map that is existing around and in Berlin. You can choose the one you want from the tabs on the top. Even the night lines are in it. Download this one, and you will be good to go! For whole routes download the BVG Fahrinfo App. You choose a starting point and destination and get the right and shortest connections all over the public transport. This app also provides digital tickets. Germany is surprisingly behind when it comes to mobile data and public wifi. You have different (not free though) wifi spots you can log into. These are owned by cable companies, such as Telekom, Kabel Deutschland, and so on. Free wifi is only offered inside the BVG stations (U-Bahn) or at local shops or cafés. If you need mobile data, just buy a prepaid SIM card at a newspaper shop (O2, Vodafone, BASE…). They start from around 10€, including data volume already. Monthly packages start from 10€. Late shops in Berlin, as an exception, indeed open until late hours. They come in various names, like internet cafes, Minimarkets, or Getränke Point. 5. In Berlin drinking alcohol in public is allowed. You can find it in the trains at 8 in the morning or out in parks and at rivers in the evening. Beers and wine sell from the age of 16, everything else from 18. Most shops offer openers, so you can take away your drink right away. 6. What to do with the empty bottles? Short: in the trash of course. But not the way you might think. I have been grown up in Berlin, taking some things for granted because I grew up with them. There is one social rule that I fully agree with: empty bottles that apply for the bottle deposit system are not to be put IN the trash, but next to it. As Berlin has a certain number of homeless and poor people, they are supported that way. Collecting these bottles from next to the bins, not out of them, gives them a little money in dignity. Yes, we jump red traffic lights! If the street is empty, no car in sight, why wait for a green Go then, right? Some of us check for nearby kids first, to hold us back and (im-)patiently wait. Because still we wanna set good examples to them. But inside we curse them for being there. Because where we are heading to every minute is a treasure. I just realize: We have to chill more! You could actually get fined with a small fine for jaywalking (if caught). But no one cares about this in reality. Previous Post: Liebster Award: I am nominated! Thank you for this. I don’t know if I’ll go to Berlin but I will pin this. My parents were stationed in Germany when I was little. We were in West Germany when the Berlin wall fell. Oh nice. Are you american? We have had many Americans here indeed. In my next article I write about the former and abandoned NSA Field and Spy station in Grunewald. The history is exiting and full of little details. 🙂 Do you speak some german then? I haven’t been to Berlin yet, but I usually go to Munich or Köln once or twice a year for work- a lot of this could apply to those places as well. A lot of good info here! Great post. 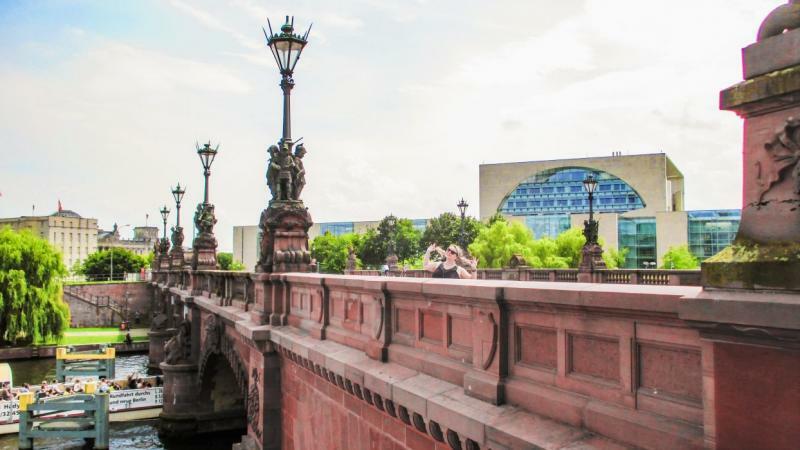 Lots of good information on visiting Berlin – if I ever make it there! My friend is going to be working there in 2019 and we are going to visit Berlin. So excited! Thank you for these tips! The bottles for deposit next to the can is very kind. I remember when I visited Berlin my walking tour guide told me about the rule about leaving bottles next to the bins and not in them. I actually love that! Great advice, we visited Berlin a few years ago and this information would have been very helpful! I love your blog, it has a nice set up and is easy to navigate! I have bookmarked it and signed up for emails! Heyyy.. Berlin is on my bucket list. Your post has been really helpful. Wow drinking alcohol as early as 8am , seems like a chilled place. You shared some really good information for anyone that’s has never been there before like me. Berlin is one of the cities I really want to visit. In fact, I will put him on the travel list in 2018. I hope I can achieve this.